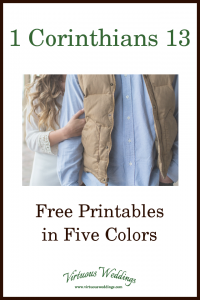 For your wall, wedding planning notebook, or homemaking binder! 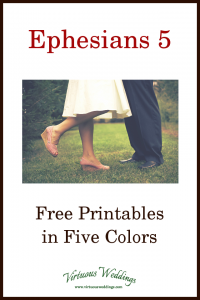 Enjoy this free printable of 1 Corinthians 13. Here’s a free printable for you, from Ephesians chapter five! You don’t need to be told how to be in love. You got that. 😉 But what else does this area of Virtuous Weddings cover? 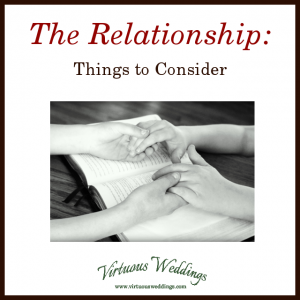 This post briefly covers The Relationship things to consider when getting married.